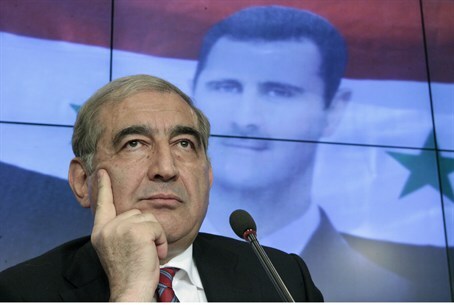 Qadri Jamil, Syria’s deputy prime minister, says Syria ready to discuss the resignation of President Bashar al-Assad. Qadri Jamil, Syria’s deputy prime minister for economic affairs, said on Tuesday that Syria was ready to discuss the resignation of President Bashar al-Assad as part of a negotiated settlement to 17 months of bloodshed. “As far as his resignation goes – making the resignation itself a condition for holding dialogue means that you will never be able to reach this dialogue. But any problems can be discussed during negotiations. We are even ready to discuss this issue,” Jamil said in comments quoted by the Al-Arabiya network. He rejected the idea of making Assad’s resignation the condition for any future negotiations, a demand made not only by the opposition but also Washington and several big European states. The comments come one day after U.S. President Barack Obama issued a direct warning to Assad on Monday, saying he should heed U.S. warnings to neither use nor move chemical or biological weapons. Jamil waved off Obama’s threat as part of U.S. election politics rather than an actual declaration of intent, Al-Arabiya reported. “Obama’s threats are simply propaganda linked to the U.S. elections,” he said. On Monday, Syrian civil war violence spread to Lebanon’s west coast, leaving two dead and 40 wounded in Tripoli clashes between pro and anti- Assad groups. Also on Monday, reports surfaced that Assad's brother Maher al-Assad has died.